When you lease a car, you'll get to drive it for around two to four years. You'll make an initial payment at lease signing and then you'll make monthly payments throughout your lease term, while you get to experience everything that new Toyota car has to offer. This sounds similar to buying a car so far, but there are a few parts of your lease agreement that change things. First, most lease agreements limit how much you can drive each year. Expect to see an annual limit of around 12,000 miles. While this is fine for many drivers, you'll want to factor in your commute and whether or not you like to take other lengthy trips in your vehicle. Doing some math now can save you from a headache, and extra fees, later on. Secondly, some lease agreements also cover certain kinds of car maintenance. This will also affect your cost of ownership. 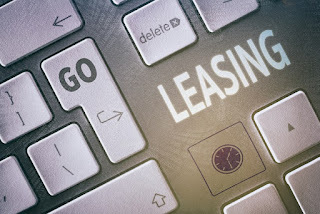 Once your lease term ends, it's time to bring your car back to the dealership. From there, you have some options. You can buy that vehicle and keep on driving it. You can also pick out a new model that you'd like to lease. Many drivers do this because they want to take advantage of the latest in-car tech and features. No matter which route you choose, we're ready to assist you! So when you're ready to buy or lease a new vehicle, visit our Toyota dealership near Glendale, CA. Our experts are ready to answer your questions about all of our vehicles and our Toyota finance department is ready to assist you. We hope to see you soon!